Looking for somewhere to ride this weekend? 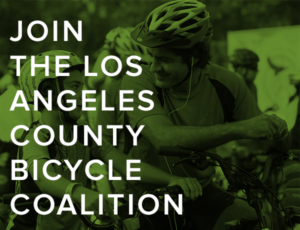 The LACBC invites you to Bike to the Bowl the next two Sundays, the 21st and the 28th, with free bike valet once you arrive at the Hollywood Bowl and free ice cream from Peddler’s Creamery. Here’s the lineup for this Sunday. 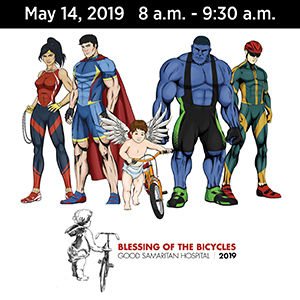 And the LACBC invites you to celebrate Car-Free Day in the San Fernando Valley this Sunday with a ride along the Orange Line, finishing at MacLeod Ale Brewing Company, where you’ll get a tour of the brewery and 15% off drinks and merchandise for LACBC members. More on the arrest of Cherokee Schill, the Kentucky cyclist busted for the simple crime of riding — legally — in the street. A New York woman is in critical condition after she’s hit by a cyclist in Central Park. Initial reports indicated the rider was reportedly traveling in excess of the park’s 25 mph speed limit; however, those comments have been removed. Always, always, always ride carefully around pedestrians; they’re the only ones more vulnerable than we are on the streets. And turn off your damn Strava for a change. Jens Voigt caps his nearly two-decade pro career by smashing the one-hour record. And naturally, made it look easy. Nice recap of this year’s Tour de France by Ed Rubinstein in the current issue of Southern California Bicyclist magazine, along with a shout out to your’s truly for coverage of SoCal bike issues. Unfortunately, the story hasn’t been posted online, but you can pick up a free copy at your local bike shop. As if you needed another excuse to drop in over the weekend. Help clean up along the Ballona Creek bike path this Saturday. A Streetsblog writer is a finalist for a major journalism award for her story on protected bike lanes. At least one suspect is under arrest after an Azusa teenager’s bike is stolen when he’s beaten with a baseball bat. 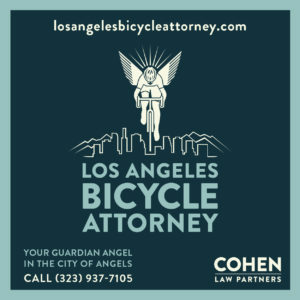 The OC Register offers more information on the lawsuit filed by bike shop owner Paul Deem in the death of his wife Debra. Riverside could have a bike share program next year. San Jose is moving forward with a ban on sidewalk riding, rather than tackling the big, dangerous machines that actually kill most pedestrians. Caught on video: A San Francisco cyclist is caught in a collateral damage collision after blowing through a stop sign next to an SUV that gets T-boned by a car. Maybe it’s time to take up smoking — or at least pack a pack — as a Stockton cyclist is assaulted and robbed after telling two men he didn’t have a cigarette to give them. A new police radar gun could tell if drivers are texting behind the wheel; who knows how many lives could be saved if it could help catch more distracted drivers? Vox offers a guide to the endless debate between vehicular cyclists and those who prefer separated infrastructure. The seemingly obvious answer is that VC is an effective tool for streets without safe infrastructure, but not a substitute for it. Raised bike lanes separate cyclists from motor vehicle traffic without the problems of protected bike lanes; they’re starting to appear in San Francisco and Chicago. A Boston cyclist makes the case for an Idaho stop law. An OpEd writer for the NY Times says getting on a bike in the city is an act of faith in a flawed urban contract; you may not want to read the comments, though. Thanks to Pete Kaufman for the heads-up. As New York has built protected bike lanes, injuries have gone down while traffic flow has improved. Meanwhile, NY Streetsblog says don’t believe the local news when they say that’s not true. Caught on video: A time-lapse commute through New York City. Miami stages a two-wheeled play as audience members bike from scene to scene at different locations. One UK town allows cyclists to treat red lights as yields. A British bike manufacturer cites declining sales to declare the country’s bike boom a myth; there may be some truth to that, at least as far as black and Asian riders in the peloton are concerned. A Norwegian town pays people to walk and bike for a week. Too creepy. A serial cat killer is arrested in Tokyo when he’s found with four dead cats in his bike basket; authorities have found the bodies of 45 cats in the neighborhood since April. Caught on video: An LA cyclist take the “Every Lane is a Bike Lane” campaign a little too seriously, splitting lanes and passing stalled traffic on the 110 Freeway; thanks to Susanna Dooley Boney for the tip. 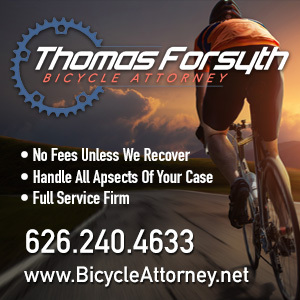 The Orange County Transportation Authority offers an effective PSA pointing out the benefits of California’s new three-foot law; thanks to Cyclelicious for the link. And maim a dog while fleeing police in a stolen van, get two years in jail; kill a cyclist and you probably won’t even have to post bail.